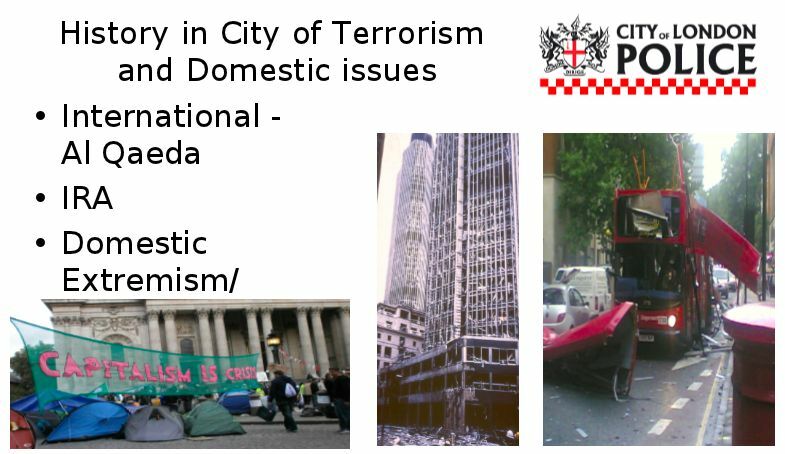 In our experience, the City of London Police’s conflation of protest with terrorism and violence is unfortunately repeated up and down the country, the result of including ill-defined labels like “domestic extremism” within the language and strategies of counter-terrorism. 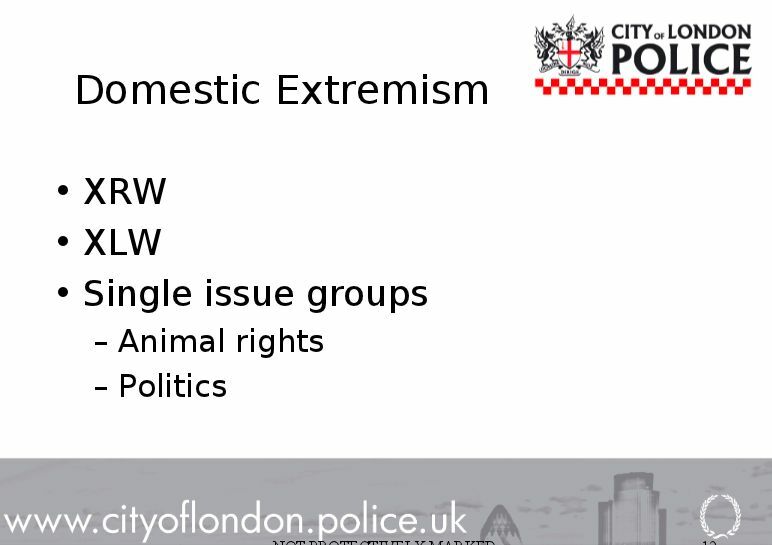 Programmes like the government’s Prevent strategy overwhelmingly target and stigmatise Muslim communities but as ‘Project Fawn’ shows, they also provide plenty of scope to include almost any group of political activists that the police dislike or consider an inconvenience. These slides show a real disdain for legitimate rights to exercise freedoms of expression and assembly in a free society,which leads to individuals having their lawful activities recorded and retained on secret police intelligence databases. Seeking to convince nursery staff to identify and report such a broad range of dissenting voices is sinister and alarming, but we fear it’s about to become commonplace. The new statutory duty for front-line public services to participate in ‘anti-radicalisation’ – not just the police, but GPs, hospitals and schools – risks creating an army of snoopers and informants, quietly noting down more and more people’s ‘unacceptable’ political views. A number of Workshops to Raise Awareness of Prevent (WRAP) have been delivered to businesses, education establishments and Corporation departments by the Prevent Engagement officers in the last quarter. The ‘Conviction’ presentation continues to be delivered at the Griffin Workshop on the first Thursday of each month. 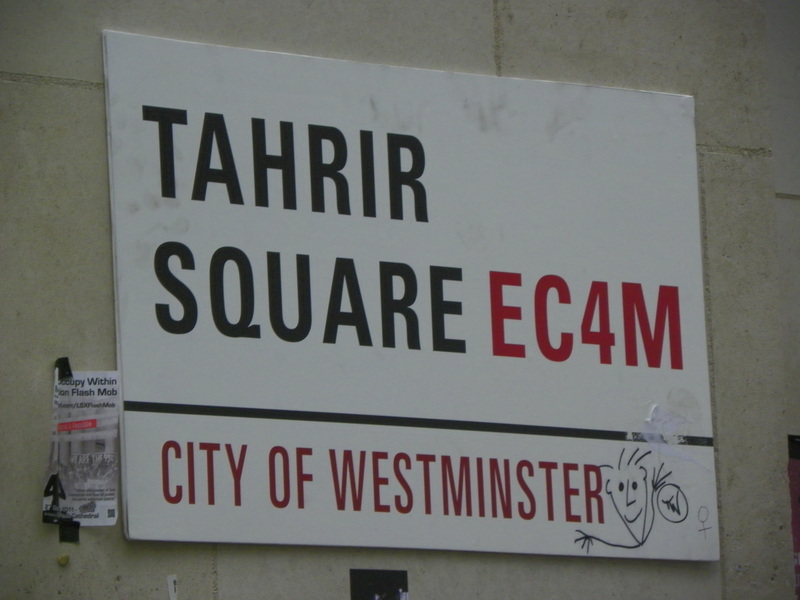 ‘Griffin’ refers to another City of London Police initiative intended to advise businesses on counter-terrorism, which was exposed in 2011 issuing guidance that “any information relating to anarchists should be reported to your local Police”. 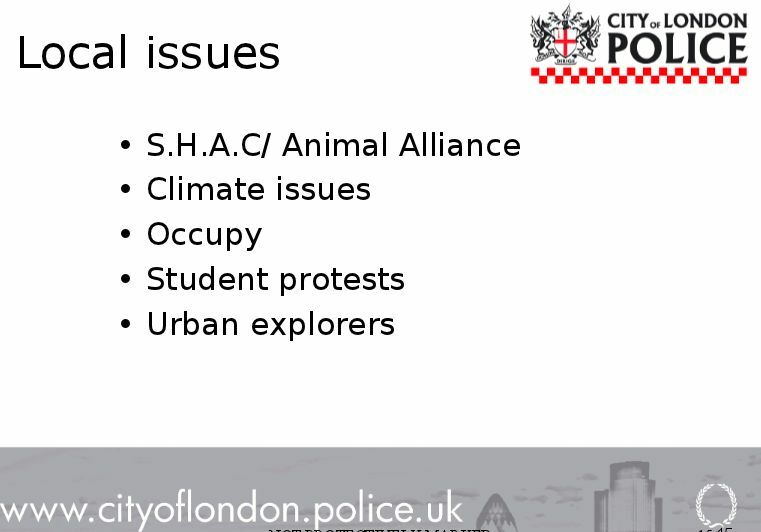 ‘Project Fawn’ is not the first time police in the Square Mile have deliberately conflated political ideas with crime and violence. A WRAP session was delivered at Project Fawn to nursery staff based in the City of London. The team have been working with their Senior Management Team who are expected to assess the risk of pupils being drawn into terrorism, including support for the extremist ideas that are part of terrorist ideology. In other words, Project Fawn admits to encouraging the targeting of very young children under 5 years old – almost certainly from Muslim families – for signs of alleged ‘radicalisation’. It is right to express disgust at the labelling of campaigners with ill-defined terms like “domestic extremist”. However, it is important too to remember that Muslim communities are the primary targets of the government’s Prevent strategy – and that the most effective way we can resist it is together.